If you have missing teeth, your dentist in Vero Beach may recommend that you consider getting dentures. Dentures are removable false teeth that are made out of nylon, metal or acrylic that sit in the place where your missing teeth would be. Not only can gaps cause problems with eating and speaking, but other teeth can gradually move to take advantage of the space, causing them to become misaligned and even crooked. 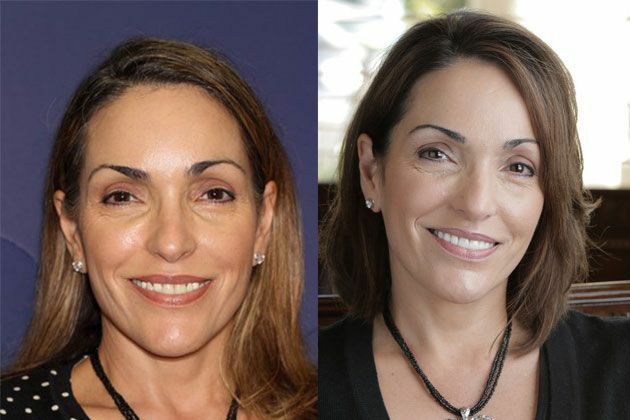 Dentures also help to improve the cosmetic appearance of your teeth, restoring a full and natural looking smile. Depending on the amount of teeth that are missing, your Vero Beach dentist may recommend one of two varieties – a full or a partial denture. Traditional full dentures are recommended if all of your upper or lower teeth have been removed, or if you are having a pre-existing denture replaced. The team at Vero Dental Spa will take measurements and impressions of your mouth which will be used to create your dentures. These will be able to be fitted immediately after your teeth have been removed, and will fit snugly over your gums and jawbone. The sensation of your dentures may feel strange at first, but you will soon become accustomed to it. If you have had multiple teeth removed, then the shape of your gums and even jaw bones may change. In rare cases this means that your gums need to be left to heal for a short time before dentures can be fitted. 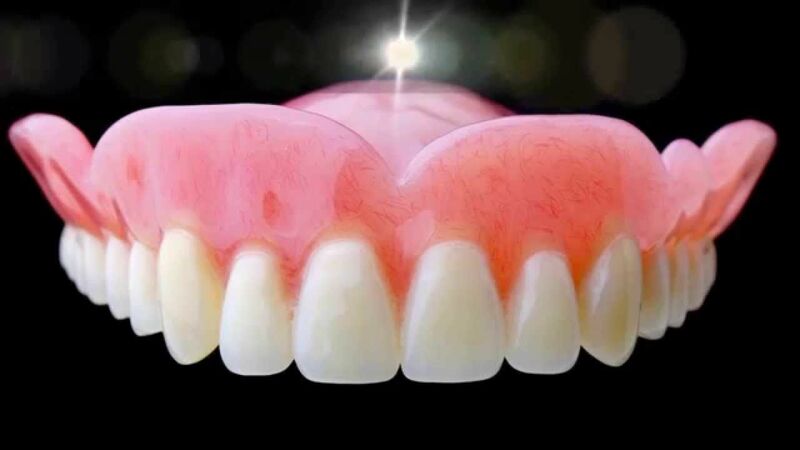 However, more commonly this will mean that your dentures will simply need to be remade a few months down the line, in order to fit comfortably and snugly to the new shape of your gums and jaw. In comparison, a partial denture provides a solution to filling smaller gaps left by one or more missing teeth. It takes the form of a nylon, acrylic or metal plate that has false teeth bonded to it. When put in place it is secured to your natural teeth with metal clasps, and the false teeth sit comfortably in the gaps, giving the appearance of a completely normal, natural smile. Just like with full dentures, your Vero Dental Spa team will take measurements and impressions of your mouth in order to create a custom denture that will fit snugly to provide a great aesthetic appearance. Again it may take some time to become accustomed to the sensation of wearing dentures. Whether you have full or partial dentures, looking after them properly has to be a big priority if you want to keep them in great shape. It is important to regularly clean your dentures as failure to do so can result in a number of oral hygiene problems including bad breath, oral thrush and gum disease. You should clean your dentures twice per day by brushing them and then soaking them in a solution of denture cleaning tablets. You should also continue with a thorough oral hygiene routine for your natural teeth. Dentures are pretty fragile and may break if dropped, therefore you should take care when cleaning them and try to ensure that you do so over a sink of water, soft towel or similar. When you first start eating while wearing dentures you should start with smaller pieces of soft food, chewing slowly and using both sides of your mouth. Try and avoid any really sticky foods such as chewy candy and chewing gum. Gradually you will be able to start eating other varieties of food until you reach a point where you can eat a pretty normal diet. When you first start wearing dentures your dentist may recommend that you wear them around the clock, including when you are sleeping. However, if your dentist says that you may remove your dentures while you are asleep so that your gums may rest, you should remember that they need to be kept moist. Many people choose to keep their dentures overnight in water or a suitable denture cleaning solution. If you have any questions about dentures or denture care, speak to the team at Vero Dental Spa at 772-778-5550 who will be happy to advise you. Please feel free to give us a call or stop by anytime if you have a question or would like to schedule an appointment.